What stage of the above lifecycle is the investment migration industry currently in? Evidently, the industry has not yet reached the ‘mature’ stage. Growth is high, consolidation has thus far not occurred, and the barriers to entry remain low3. The recent trend in the Caribbean of lowering the donation amount required for a citizenship approval is, however, a sign of increasing maturity. Similarly, the prices charged by local agents for submissions and those charged by promoters for handling the process seem to be in steady decline. Based on these initial observations, the investment migration industry appears to fall into either the ‘growth’ or the ‘shakeout’ phase. In order to dig a little deeper into the matter, let us review some evolutionary processes relevant to the industry4. Long-run changes in growth generally look favourable for investment migration. Demographics will likely continue to develop in a fashion that increases demand, with more people developing the need or the desire to become ‘global citizens’. There are no real substitutes or complementary products that threaten the industry. And while the penetration of the client base might be a concern in the long run (after all, the usefulness of each additional citizenship or residence diminishes quite significantly), this point probably does not yet apply. Over the years, there have been changes in buyer segments. The industry has clearly moved on from early adopters. The legitimacy of the offer is more widely recognised, particularly in the market for citizenship, and this trend is likely to continue in both the residence and the citizenship spheres, with more countries offering solid programmes. In the past few months alone, Moldova and Montenegro – both small but fast-growing European countries – have launched strong citizenship offerings. Learning by (potential) buyers has an impact here, forcing industry participants, including governments, to offer sensible, reliable solutions. Nevertheless, in countries where internet access is restricted or where clients have limited English language skills, transparency levels can be problematic, which may prevent customers from properly informing themselves on investment migration matters. In order for the industry to grow in a healthy way, the continued reduction of uncertainty should be a priority. And while the diffusion of proprietary knowledge is certainly progressing, there continues to be a lack of firm, reliable information available. Rumours and hearsay in some outbound countries are widespread, hindering the evolution of the industry, specifically in regions plagued by the issues outlined here. Sometimes a lack of transparency can also be a problem in the inbound country, resulting in public disapproval of the programme in question and in growing skepticism towards the industry as a whole. Innovation in terms of product, marketing, or processes can have a significant influence on the structure of an industry. Being a relatively new industry, investment migration has thus far experienced constant innovation. And yet, while there are similarities among the various programmes in both the residence and the citizenship space, a dominant design marking the shift from the ‘introduction-growth’ phase to the ‘shakeout-mature’ phase has by all accounts still not emerged. The investment migration industry is unique insofar as the actual product is provided by a country and its government. This feature can limit innovation – for example, if there are political factors involved. By contrast, marketing, distribution, and processes are implemented by the private sector. A dominant design is therefore more likely to arise in these areas. Government policy changes can obviously have a major impact on the industry, as became apparent when the Canada programme was closed in 2014. The long waiting list for EB-5 visas that affects nationals of some countries will likely also lead to meaningful shifts. Finally, the direct regulation of entry into the industry or of competitive practices – at the level of the OECD, for instance – would mean even more drastic internal changes. The last evolutionary process to briefly be reviewed here is entry into and exit out of the industry. Both small start-ups and larger firms from adjacent industries such as accounting and legal services have entered the investment migration market and will in all likelihood continue to do so. Exits are less frequent and usually affect younger companies that have not managed to generate traction. 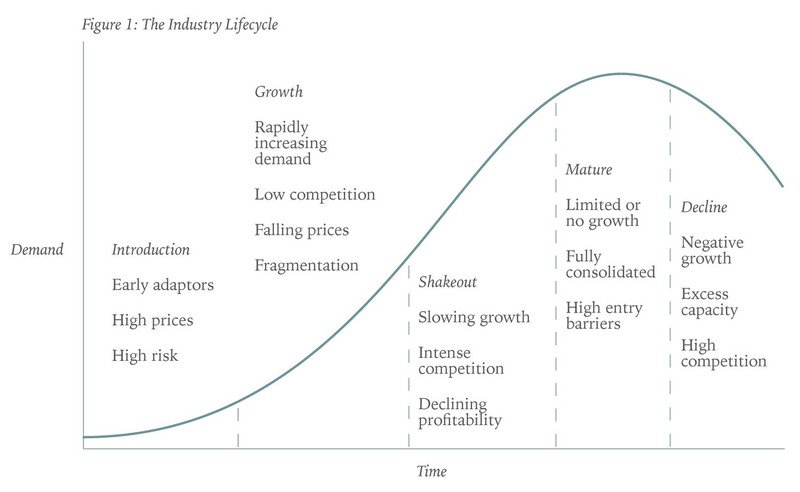 This observation puts the industry somewhere between ‘growth’ and ‘shakeout’ in the industry lifecycle, which is consistent with the other processes analysed so far. Quantitative or statistical evidence is generally sparse in investment migration. Most countries offering citizenship programmes do, however, publish lists of licensed agents. Aiding the investigation into industry concentration, Table 1 below gives an overview of the numbers of agents in important destinations for citizenship-by-investment: that is, destinations where agents are publicly listed and where their details are accessible online. All these agents are approved by the regulatory body of the specific destination to either submit applications to the government (local agents) or promote the programme in the destination (marketing agents), or else, in the cases of Dominica and Malta, to do both. The systems vary slightly from one destination to the next, but they are quite similar overall. The total number of companies licensed as agents in these destinations is around 526, because 41 firms have licenses in more than one destination. Five firms hold a license in Malta as well as at least one license in a destination in the Caribbean. These are most likely the firms most focused on investment migration. No statistics are available or can be calculated for the distribution of cases and applications among these agents. For the majority, investment migration is only one aspect of their broader business operations. Many agents are lawyers providing a number of other services; some are real estate, trust, or other professional services firms. A significant number of companies not covered by this table still operate in connection with these programmes, mostly in the field of marketing and promotion. Such companies typically work together with local agents for the submission process. Moreover, because the available information for this region is lacking, the number of agents covering the important Cyprus citizenship-by-investment programme is not included. The overall number of companies working in the citizenship sector of the investment migration industry is therefore higher than the number indicated in the table above. Most of these companies are small- to medium-sized, and practically all are held privately. It is thus quite evident that the industry is in a fragmented state with regard to citizenship5. A broad look at the residence sector provides less statistical evidence but gives a very similar impression, in part due to the large number of available options6. How will the industry develop from here, then? In order to progress to a more consolidated state, the key is to overcome the reasons for fragmentation, the most obvious one being low overall barriers to entry. Low barriers to entry alone are usually not a sufficient reason for fragmentation, though. Other relevant causes include a lack of economies of scale, the absence of a significant learning curve, no advantages of size when dealing with buyers and suppliers, diverse product lines, and local factors (control, image, contacts, regulation, and so on). Let us briefly review these causes. Economies of scale would be expected in a global business such as investment migration: for example, in marketing and administration (that is, the processing of applications). Both areas also benefit from progress on the learning curve, which is no doubt even steeper for firms working with governments, where long-term relationships, expert know-how on laws and regulations, and a strong track record are required. The size of the firm should also have an impact when dealing with clients. A large firm offers more security: it can provide a wider range of programmes and solutions, and it also should be able to offer better conditions (or capture higher margins), because it has more power in negotiations with real estate developers, for instance, or with local agents regarding submission fees. Product lines in the industry are indeed diverse. With more countries continually adding offers, particular in the residence space, this diversity is set to continue to increase. It is unlikely, therefore, that consolidation will occur across the full product range. At the same time, as standardisation increases, more and more countries will offer ‘programmes’ in the narrow sense of the word, with little further differentiation possible. That, in turn, will make consolidation more probable. Local factors such as image and contacts are key in the distribution segment of the investment migration industry. Weakness in these areas can put large firms at a disadvantage, but probably not to the extent that progress in the life cycle would be hindered. The requisite local control in terms of the management supervision of operations and the setting of the right incentives can also be achieved by a larger firm with proper leadership and managerial instruments in place. Whether local regulation contributes to fragmentation in the industry or promotes consolidation remains an interesting question. China, for example, has licensing requirements for agents distributing programmes. But China is still, in every aspect, a highly fragmented investment migration market. In many markets, smaller agents often simply ignore local regulations or even rather basic compliance standards, whereas bigger firms cannot afford this type of behaviour. Considering the nature of the industry, it would make sense for the major market participants (including the ‘producers’, which is to say governments or countries) to push for and agree on stringent global regulation. Such a push would – and probably will – be a major driver of consolidation and of further movement along the industry lifecycle curve. “Overcoming fragmentation can be a very significant strategic opportunity,” according to Porter. In the distribution sector of the investment migration industry, this opportunity certainly exists. 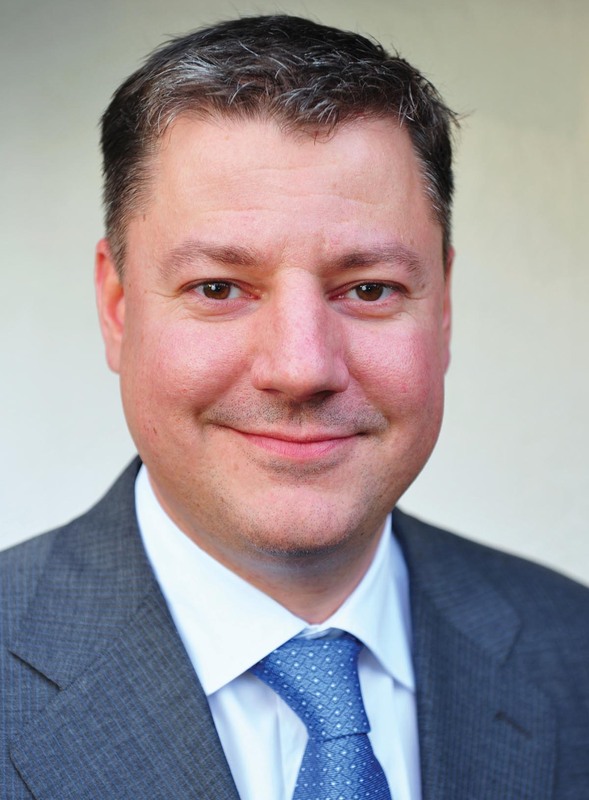 Naturally, there are obstacles, including the low barriers to entry still in place, but these obstacles can be overcome if economies of scale are created – for example, through the use of technology for processing or even across the entire value chain. It will be interesting to see how these developments play out in the coming months and years. 1. For a deeper explanation and an overview of the literature, see Mirva Peltoniemi, ‘Reviewing Industry Life-Cycle Theory: Avenues for Future Research’, International Journal of Management Reviews 13, no. 1 (2011): 349–375. 2. Michael E. Porter, Competitive Strategy: Techniques for Analyzing Industries and Competitors (New York: Free Press, 1980), 157. 3.Cf. Ralph Dahinden, ‘Welcome to the Jungle: Dealing with the Investment Migration Industry’s Bad Apples’, Investment Migration Insider, 2 August 2017, https://imidaily.com/opinion/welcome-to-the-jungle-dealing-with-the-investment-migration-industrys-bad-apples-by-ralph-dahinden/. 6. See, for example, Christian H. Kälin, Global Residence and Citizenship Handbook (Zurich: Ideos, 2016), or for a recent typology of programmes in the EU, see Jelena Džankić, ‘Immigrant Investor Programmes in the European Union (EU)’, Journal of Contemporary European Studies 26, no. 1 (2018): 64–80.